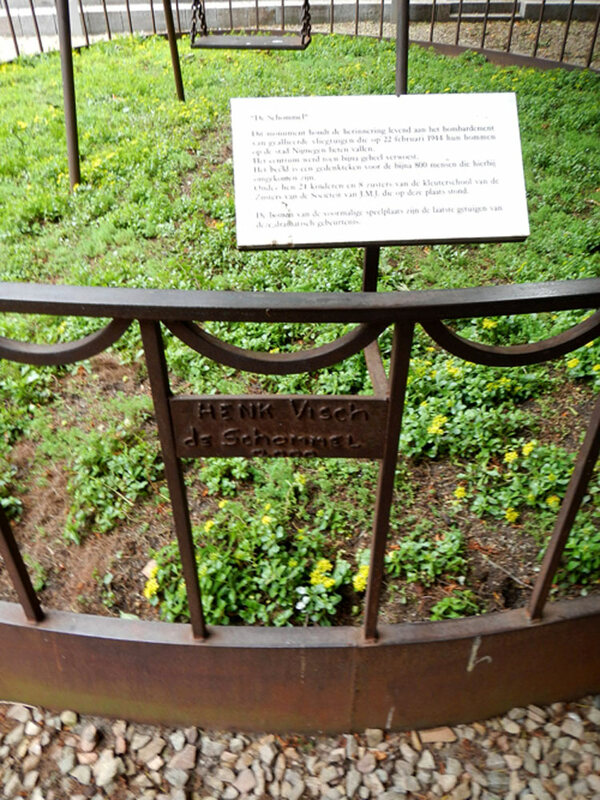 This Memorial was placed in 2000. 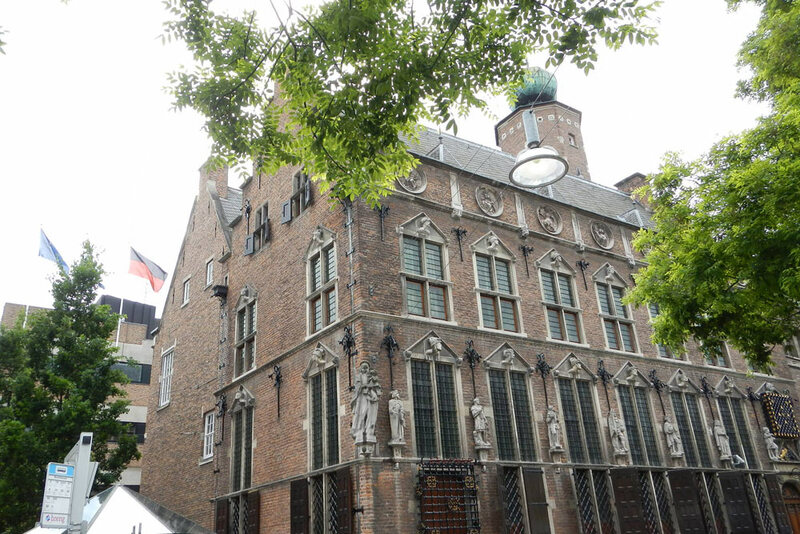 It was placed on the Raadhuishof, the location where the Montessori school was located, where 24 children and 8 sisters were killed. 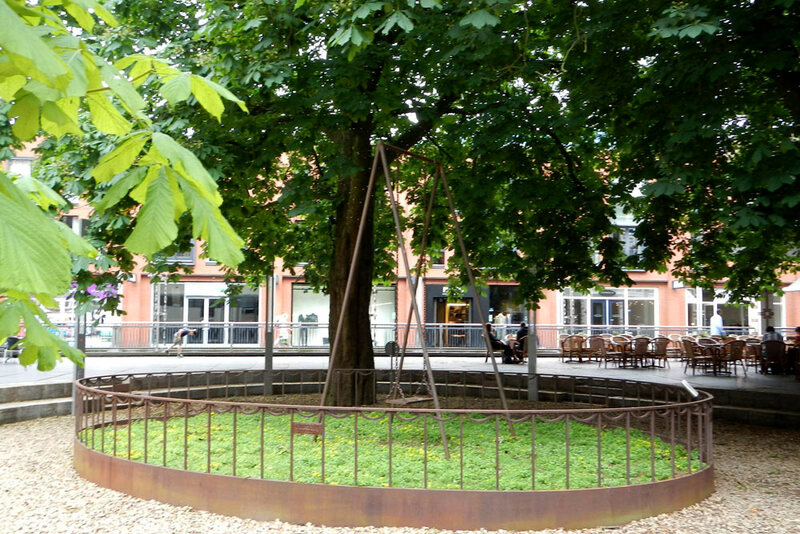 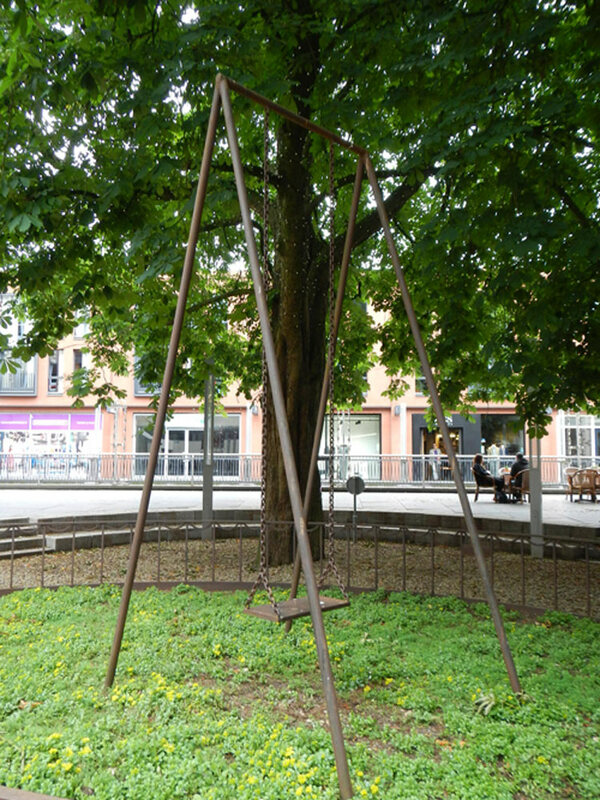 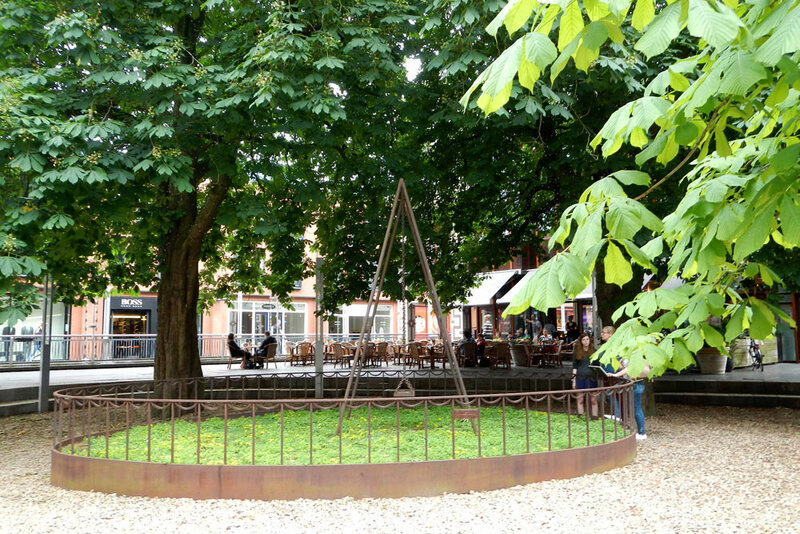 It proposes a four-meter high swing. 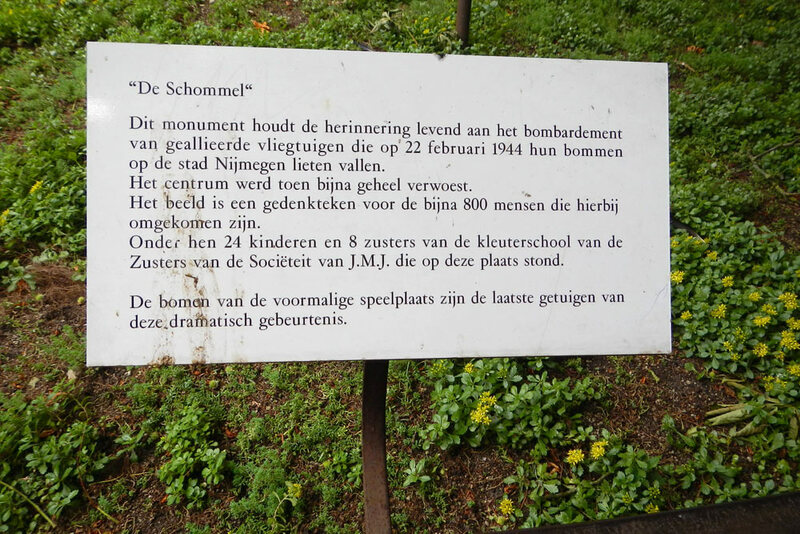 In 2000, an annual official commemoration of the victims who died during the Allied bombing of Nijmegen on 22 February 1944.